Can anything go wrong when you use magnesium oil? The truth is, not very much, but it is only fair to let you know of some common mistakes in using this normally safe and effective nutritional aid. Here are the rare problems that can occur when using magnesium oil. There’s no doubt that magnesium is beneficial for people who have high blood pressure, but people who have low blood pressure (anything lower than 100 for systolic reading or 70 for the diastolic reading) should use any kind of magnesium cautiously. Start slowly, and build up your dosage if you take an oral supplement, or if you use magnesium oil, slowly increase your exposure time. Because most people who suffer with hypotension are sensitive to changes in salt intake, fluid intake, diet, supplements and medications. If you are making changes in medication that keeps your blood pressure unusually low, be especially careful when using any magnesium product. 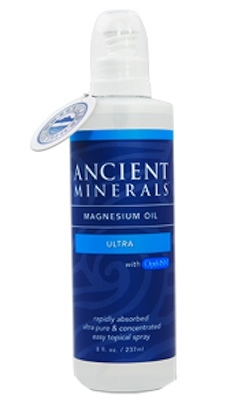 If you have fair skin, the kind of skin that ‘everything makes you break out’, magnesium oil could sting and tingle. It’s not necessarily the magnesium. in magnesium oil that does it. Any of the salts in the oil can have this effect. There is a full 3,000 mg of magnesium chloride in just a teaspoon (5 ml) of magnesium oil, and even more of various other naturally occurring mineral salts. If spraying magnesium oil on your skin irritates it, try diluting the oil with water. Magnesium ‘oil’ isn’t really oil, it’s a concentrated salt solution. So it mixes very well with water. Just dilute your magnesium oil with water 10 to 1 and use it in your aerosol spray. Magnesium can trigger a detoxifying reaction that temporarily causes irritation to the skin. This is most likely to happen when people have mercury amalgam fillings, or when they have rosacea. The skin reaction does not last very long, typically one to two weeks, and may go away faster if you take oral bentonite to absorb toxins released, or are no longer absorbed through your gut. Magnesium helps the central nervous system relax. So do anti-anxiety drugs. Most of the time, at least in the United States, doctors prescribe selective serotonin re-uptake inhibitors like Prozac and Pristiq, for off label use (they were formulated and tested as antidepressants), when anxiety is an issue. These drugs deactivate an enzyme the brain uses to reabsorb serotonin, which ‘jump starts’ synapses and generally increases brain activity. If you feel you are becoming too mellow when you take both your medication and magnesium, try skipping the magnesium for 3 days. Then if your symptoms persists, you will know it was not the magnesium, and you should resume taking it. Magnesium is essential for over 300 enzymes, including those that help regulate your adrenal glands and their production of stress hormones. Twitching muscles are often a sign of calcium deficiency. The solution is simple. Take a calcium supplement, but make sure it contains more magnesium than calcium to help your muscles absorb the calcium they need. Or take a calcium supplement by itself while you continue to use magnesium oil, but no more than 400 mg of calcium at a time or 1000 mg of calcium in a day. This is the maximum levels your body can absorb. Magnesium oil can also provide relief for muscle pain and soreness, which is great if you’re like me and you’re in the gym most days! Magnesium helps the liver make the enzymes it needs for detoxification. If you start feeling tired, or dyspeptic, or just a little grouchy a few days after you start taking magnesium oil, you could just be experiencing a natural detoxification reaction. Keep taking the magnesium. When your body has ‘detoxed’ itself, you should feel better than before. The problem with magnesium supplements can be that they don’t contain the right form of magnesium. Only about 4% of magnesium oxide actually gets into your bloodstream. They rest remains in your gut to attract water and make loose stools. Only about 15% of the magnesium in magnesium citrate and magnesium chloride taken orally gets into your body, leaving nearly as much magnesium in your gut to attract water and possibly cause diarrhea. When you use magnesium oil, however, you don’t take it by mouth. You spray it on your skin. The magnesium in magnesium oil is in the form of magnesium chloride, which isn’t completely absorbed, but is better absorbed than any other. And none of the magnesium from the oil you put on your skin crosses your gut to interfere with regularity. 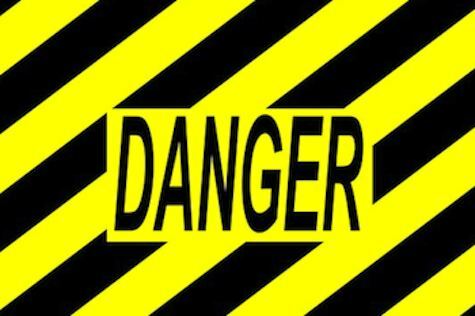 We are not here to tell you not to do what your doctor says, but we suggest that perhaps your doctor is concerned about your taking too much iodine (which can be a real issue in Grave’s disease and the early stages of hypothyroidism), and simply told you not to take any type of mineral supplement. There are tiny amounts of iodide (from natural sources) in magnesium oil, but not enough to do either benefit or harm. Ask your doctor if it wouldn’t be a good idea to get some magnesium supplementation, and then take it in its safest form, magnesium oil. Then magnesium oil is the form of magnesium you need. Magnesium oil is never laxative, and provides the magnesium your body needs along with a small amount of potassium that can replace the potassium your body loses due to IBS symptoms. As you can see, taking the correct magnesium oil dosage, for any of the above conditions is important. Take too much, and you could find yourself falling asleep if you’re currently taking medicine for anxiety. Or if your gut cannot cope, you could end up in the bathroom for a good part of your day. Do you know if there are any complications between Magnesium Oil and Gabapentin (Neurontin)? I can’t take regular Magnesium supplements because it interferes with how much Gabapentin is absorbed in the gut. Because Magnesium Oil is absorbed through the skin, can I avoid this problem? Would really like to start taking magnesium. There are many instances when minerals block the absorbsion of certain medecines, eg. Thyoid tablets are not to be taken near Iron or calcium, this can cause long term problems for people who have hypothyroidism. However there is no problem using the oil on our body as this isn’t an interference in digestion. Thank you for your message Dawny.